Insolvency professionals backed by banks are taking over the headquarters of some of the biggest corporate defaulters. Their success will be key to solvingthe NPA problem. In July, a Delhi-based insolvency professional (IP) landed uninformed at a Noida-based company facing bankruptcy proceedings. The entry into the premises was smooth as he had a copy of the order by the National Company Law Tribunal (NCLT), the adjudicating authority for bankruptcy. The IP was the new de facto CEO of the troubled company, backed by the lending banks (as the board was suspended). 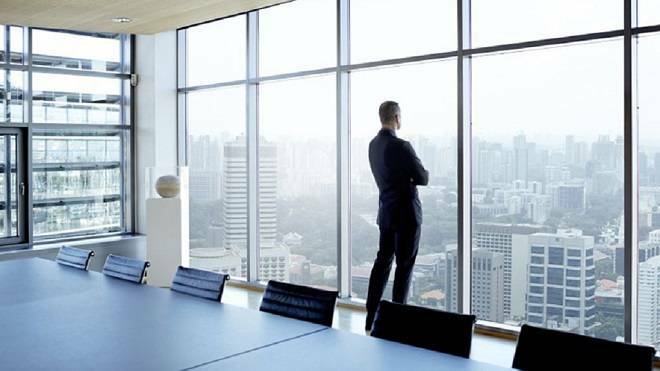 But the 45-year-old had a harrowing time in taking over the reins of the company. He was looked at with suspicion by the staff. The promoter director, who re-designated himself as a managerial staff, was nowhere to be seen. When the IP asked for the list of fixed assets from the finance head, he bought time for few days. He later went missing. After a few days, the finance head dispatched few medical certificates for taking leave for an indefinite period. And after a few weeks, a resignation drama unfolded with senior people exiting. "Employees don't cooperate as they know you are there just for few months," says a hassled IP. In another instance, an IP took over a defaulting company that didn't have a working office or a plant. When he reached the plant, it was bolted from outside with a lone security guard. There was only a skeleton staff in the corporate office. "There was only about `5,000 in the bank account," says the IP, who theoretically has the power to hire people and take interim finance. "What to do in a company where assets are depleted," he points out and is more worried about his own compensation. Under the Insolvency Bankruptcy Code (IBC), if the assets of the defaulting companies are insufficient to cover the insolvency costs including compensation, the creditors or lenders have to cough up the amount. But getting the money back from creditors is not easy - its a long drawn out process. The IPs mentioned here didnt disclose the names of the companies but said that the issues they faced reminded them of the SARFAESI and the Debt Recovery Tribunal acts where nothing moved for decades despite powers to go after defaulters. Indeed, the IBC supposedly gives sweeping powers to banks and institutions. The IP is the crucial link between the promoters and creditors as he runs the company (as a going concern), does the job of the matchmaker (accepting bids) and also initiates the liquidation process in case stakeholders don't agree on a resolution plan. There are already 158 companies where IPs are running the affairs of the defaulting companies. The list is likely to swell in the days to come. The IPs are actually facing a trying time due to court delays, non-cooperation of promoters and management, charges and counter charges and also fear of litigations and future liabilities. The undue delays are making IPs restless. For example, after the bankruptcy application is filed by financial creditors, the defaulting corporate has to come with the name of an interim IP. The operational creditors (suppliers, employees, etc.) filing for bankruptcy, however, are not required to propose the name of the IP. In such cases, the NCLT requests the Insolvency & Bankruptcy Board to pull out a name from its list of registered IPs. But the entire process of NCLT asking the Bankruptcy Board, inviting expression of interest, recommendations and final appointment of IP is time consuming in the case of operational creditors. It actually took 45 days in one instance. This delay pushes the 180 days deadline for resolution or liquidation. In another instance, one of the IPs had plans to go abroad for a holiday but just a day before his departure, he got a letter from the bankruptcy board. He was made the IP for a defaulting company. He was not consulted when the board sent the letter of recommendation to NCLT. "This is one area where a lot of time is getting wasted," says an IP. When financial creditors file for bankruptcy the promoters can create problems. They often argue that the IP is a man of the financial creditors. This leads to delays as the process to appoint another IP, acceptable to both, takes a lot of time. As per the IBC, the IP makes a public announcement inviting claims from creditors and also forms a committee of creditors ( CoC). The final appointment of the IP (who is interim initially) is actually done by the CoC. The NCLT is required to admit or reject an application within 14 days. The orders are coming on time, but in some instances, it is taking almost a month for the IP to get the final order. Insiders defend the NCLT, pointing out that it is overburdened as it adjudicates on other Company Law matters like merger & acquisitions , mismanagement , minority interest, etc. Under the IBC, the IP runs the company with the oversight of th CoC on major decisions. He also prepares a memorandum inviting resolution plans and circulates it among its stakeholders. The CoC has to approve the plan within 180 days with 75 per cent majority. But IPs are realising that it is not easy to run a company in stress. As the IBC curbs the powers of the board and promoters, the IP becomes the de facto CEO of the company. The management stays in the company to support IP in day-to-day affairs. But running a stressed company as a going concern is a big challenge. "How can a professional with no experience of managing companies be expected to run a defaulting company facing multiple operational issues?" asks an IP. " All the insolvency professionals have a background in accountancy, legal affairs, consultancy, etc. They have handled financial matters and never managed operations of a company. 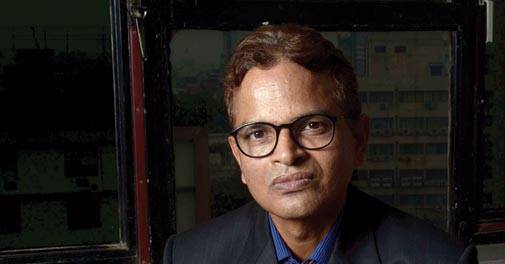 This is the biggest issue," says Vinod Kothari, an IP based in Kolkata. "The lack of knowledge will actually do more damage to the company. This is a very costly way of learning by experimenting with this code," says an IP based in Mumbai. In India, the concept itself is new and there are not many trained professionals, except the retired ones, to manage a stressed company. The IBC also mandates the IP to appoint two registered valuers to calculate the liquidation value within seven days of his appointment. In unlisted companies, the list of assets is not available. "It is next to impossible to meet the seven days deadline of appointment of a valuer," says an IP, who missed the deadline. Many IPs are at the mercy of existing promoters. While the code mandates that the promoters and the management has to extend cooperation to the IPs, they seldom help. "You cannot run a huge organisation without the support of the existing management. The company's performance can be hampered and that would have legal liabilities if the promoter charges us for non-performance or deterioration in the value of the enterprise," says an IP. The entire staff in the company knows that the IP is there for just a few months and that is the reason why employees and the management are not cooperating. In the past many IPs have approached the NCLT for giving directions to the company promoters and management to cooperate. But there is no prompt action as applications are often listed for a couple of weeks later. "This is because of the flood of cases," says an IP, whose biggest worry is the time-bound mechanism under the IBC. "The court should order some exemplary punishment in a few cases so that it become a deterrent for others. The penalties should be harsh," says Nevneet Kumar, an IP. In some of the cases, the promoters have re-designated themselves as managerial staff. As the board gets suspended under bankruptcy code, these promoters are back in the company through another channel. In the 12 large bankruptcy cases, auto ancillary company Amtek Auto and steel major Bhushan Steel have re-designated some of their key board members so that they can be around when the company is run by an IP. In unlisted companies, the promoters have not filed the balance sheet for two years. "How can an IP write the whole account of two years in 30 days," says an IP. A Mumbai-based IP narrates an interesting example where the CoC passed a resolution to open a new bank account. The IP filled an account opening application in a large Mumbai-based public sector bank. The bank staff insisted on a board resolution for opening a new bank account. When the bank was told about the bankruptcy proceedings, it rejected the application as it did not have a policy for opening account of companies under liquidation. "The banks haven't sanitised their staff or evolved policies for opening bank account of companies under bankruptcy code. There is a difference between a company under IBC and under liquidation," says an IP. In listed companies, there is also an issue of compliance. "Who will answer corporate governance issues when the board is suspended?" asks an IP. The IBC also allows a minimum quorum of 33 per cent to conduct a meeting of the creditors. This is only for discussion. "The IBC mandates that all the members of committee of creditors should be present to take a decision. 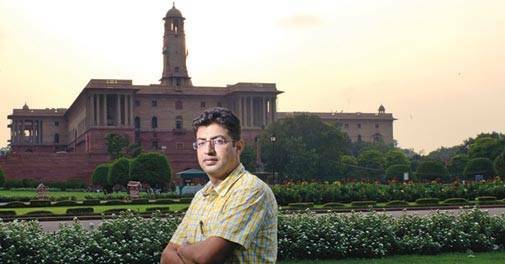 The e-voting process for absentees is very cumbersome because of a 24 hour deadline," says Vikram Bajaj, a Kolkata-based IP. The financial creditors are also not prompt in filing their claims. In an instance, the IP got a claim from a single financial creditor. Some say that the CoC is turning out to be another version of bank-led Joint Lenders' Forum with junior officers attending the meetings. In fact, there are different officers coming from the same bank for different meetings. "The challenge for an IP is to acknowledge the debt as there can be differences in reconciliation. There could be hidden corporate guarantees or instances of unpaid interest," says a consultant. The IPs are also left in the lurch when the operational creditors, who have filed for bankruptcy, have settled the case with the company. "We are witnessing a complete non-cooperation from promoters and financial creditors in such cases," says an IP. In fact, 9 out of the 10 cases filed by operational creditors are getting settled out of court. They, especially suppliers, are filing it with an intention to get their money back. The NCLT permits a withdrawal of the case before its admission, but not afterwards. The Supreme Court has ruled that a case can be withdrawn after admission if both the parties agree to settle it. The market is yet to see how effective IPs are in liquidation where assets would be disposed off to pay the creditors. "There could be a potential conflict of interest in case the IP or his firm has dealt with the defaulting company in the past as an auditor or consultant," says S. Ravi , Managing Partner of Ravi Rajan & Company. "IPs like independent directors also need to make disclosures," he adds. Clearly, the IBC act would be tested ahead and the role of IPs would also come under the spotlight.